James Patrick Diver was born in 1884, son of James Diver and Bridget. On 25 December 1909 he married Myrah Edith Turner at Sacred Heart Church Mosman. He died at Naremburn on 31 January 1957, aged 72 years. Myrah died on 1 June 1968, aged 82 years. Diver worked as a clerk, was an auditor for Glebe District Rugby League Club and patron of Glebe Rowing Club. Diver was an active member of the Glebe Local Distress Society in 1921, organising carnivals to raise funds. During the depression of the 1930s Diver was known for his charitable activities, leaving boxes of potatoes and fruit on street corners in Glebe’s poorest precincts. Diver, like many Glebe Labor party members was Catholic, strongly anti-Communist and likely to belong to a moderate union. 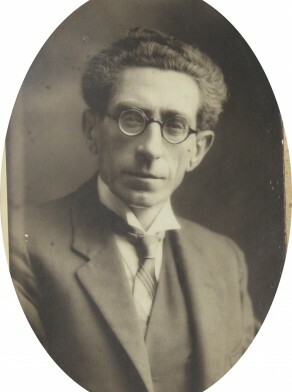 James Diver, when serving as mayor in 1932 and seeking relief for families of unemployed threatened with eviction, told the Minister for Justice in August 1932 there had been many evictions in Glebe in recent months. He convened a meeting in October 1932 to protest against the reduction in old age pensions.